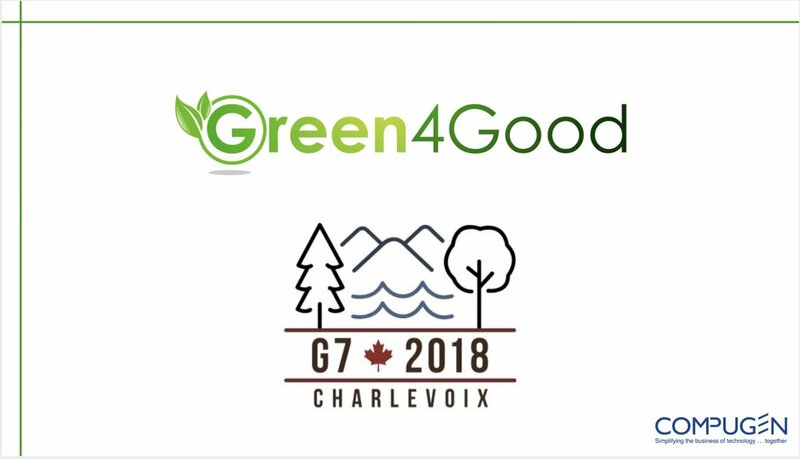 Green4Good President Steve Glover recently had the honour of presenting at the G7 Conference in Montreal to diplomats & executives from around the world! Our Green4Good and CarbonBank programs were highlighted for success in developing the world’s first program generating carbon credits from refurbished tech. “I just came back from presenting yesterday at the G7 Conference in Montreal. The agenda was all about Advancing Remanufacturing, Refurbishment, Repair and Re-Use with diplomats and executives from around the world in attendance” said Glover. The federal government had heard of the Green4Good and CarbonBank programs and asked if we could be one of the presenters. It was a great opportunity to highlight the success and uniqueness of our programs to the world. Green4Good and CarbonBank continue to grow and be recognized on the international stage, and we couldn’t be prouder. With this unique opportunity, we were able to share the following information about our programs, to an extremely receptive audience. – developed the world’s first program that creates carbon credits from the sale of refurbished technology.